What if you could peer into the deepest subconscious dreams of another person with a simple phone call? 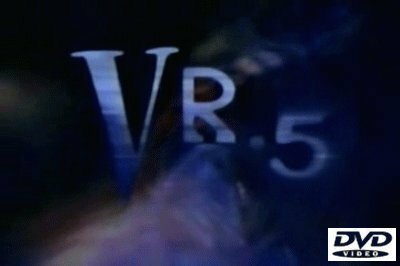 Sydney Bloom can, and an adventure both terrifying and beautiful begins in "VR.5". "VR.5", or Virtual Reality Level 5, is a region of cyberspace that hobbyist Sydney Bloom stumbles into with her homemade VR gear. She discovers by accident that she can draw people into a virtual landscape wherein events can subconscious effect the person's waking behavior, and can reveal information that the person may be hiding even from themselves. Seeking the aid of VR guru Dr. Frank Morgan she hones her skills, and draws the attention of an invisible security organization, "the Committee", and finds her unique ability to enter the subconscious mind of people over the phone harnessed to the Committee's agenda. To avoid becoming lost in her newfound skill, she keeps the counsel of her childhood friend Duncan - part Zen master, part pop-culture maeven. His knowledge of philosophical systems helps to balance her instinctive rooting in technology. During the course of her "assignments" for the Committee, she loses Dr. Morgan, only to be assigned the mysterious Oliver Sampson as her controller. Also during the process, she discovers disturbing bits and pieces of the mystery behind the death of her father and her sister, a mystery that left her mother catatonic, and somehow ties into VR.5. Notable guest stars include: Will Patton, Stephen Root, Markie Post and Penn Jillette.